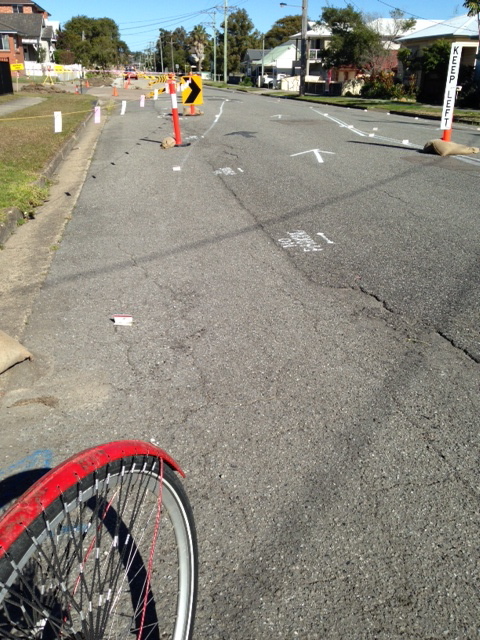 There are already some newish bike lanes on Teralba Road in Adamstown, as seen in the picture above. 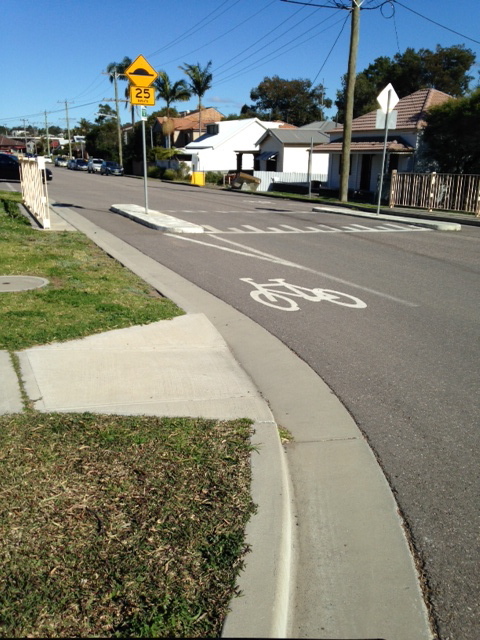 They work to separate the cars from cyclists effectively enough for the amount and speed of the traffic there. It seems that the Council is extending these lanes further in the direction towards Newcastle. This is an important part of Newcastle cycleways as this road forms part of the link between Fernleigh Track and Newcastle. It also forms part of the link for the intervening suburbs such as Broadmeadow and Hamilton. Here is hoping that the lanes maintain the same standards as the existing ones, which not only separate the cars, they also slow down the traffic. This entry was posted in Uncategorized and tagged Adamstown, Fernleigh Track, infrastructure, newcastle, newcastle bike tracks. Bookmark the permalink. I wonder if the Glebe Road and the Brunker Road Broadmeadow crossing points are going to get any attention – they’re the most serious impediments to Teralba Road being a successful link to the Fernleigh Track in peak traffic times. From what I read in the NCC bike plan, pedestrian crossings are potentially planned. I’ve also heard a rumour that lights may be installed at the brunker rd crossing. Traffic is fast at both those points.